Use the correct form of the word to complete the sentence. Ami and Cyndi played a duet on two . The plural for piano is pianos . Grand take up lots of space. On which instrument was Frederic Chopin a virtuoso? Which of the following is the softest? What is the plural possessive of the word pianos? This word means to play loud. Chopin mostly wrote music for what instrument? 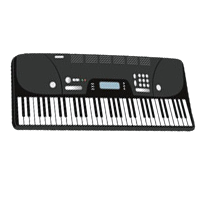 A piano is an example of a chordophone. Matt has a piano . Tina has a piano lesson tomorrow. Tina haves a piano lesson tomorrow. Tina be haves a piano lesson tomorrow. Tina have a piano lesson tomorrow. What are the two instruments that you use the force of pull to make music?